The Renault-Nissan Alliance set a record by selling over 8 million vehicles worldwide last year -representing one in 10 of all new cars sold. Its line of battery-operated electric vehicles (which includes the Nissan LEAF, Renault Twizy quadricycle, Renault Fluence Z.E saloon, Renault Kangoo Z.E) had a record year last year with a growth of 83.8 percent compared to 2011, as sales of the LEAF grew and Renault launched two new models. In total, electric models accounted for 43,829 sales last year. Those figures secures the Alliance a 64 percent share of the global electric vehicle market. Since sales of the Renault-Nissan’s battery-electric models began in December 2010 to the end of 2012, it has sold 67,723 zero-emission vehicles worldwide. 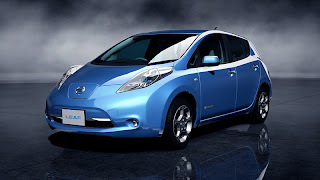 Nissan sold 26,976 units of the all-electric LEAF vehicle globally during 2012. That’s an increase of 11 percent on its 2011 figures. Total sales of Nissan LEAF have reached 49,117 units since its launch in December 2010. In 2012, Renault sold 16,853 zero-emission vehicles, the company launched both the Fluence Z.E. and Twizy in that year. Since the launch of its Z.E electric range began in October 2011, with the arrival of the Kangoo Z.E. small van, Renault has sold 18,606 zero-emission vehicles cumulatively.